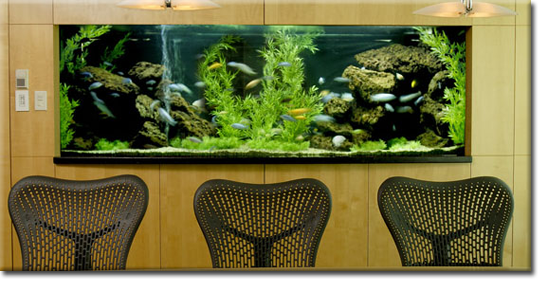 Shiny Fish Ltd. Is your premium, one stop aquarium and water feature company. We create custom aquariums, water features and ponds catering to your needs, desires & budgets. Whether you are looking for a custom built in aquarium, a re-design of an existing water feature or just you have a space and a vision, we can help. With over 20 years of industry experience and our own cabinet maker, we can work with you to turn your aquatic visions into reality. Your first consultation is on us. Email Today: sales@shinyfish.ca Be sure to check our Services page for a description of the cleaning services we offer & our Photo Gallery for a breathtaking visual idea of what we do.